Light weight and easy to fit, the highly affordable TN72 uses certified technology making you visible to all ADS-B In traffic devices. This space saving antenna is perfect for gliders and light sport or experimental aircraft where mounting options are limited and space is tight. The TA50 GPS Antenna is small, easy to stow and built for aviation use. 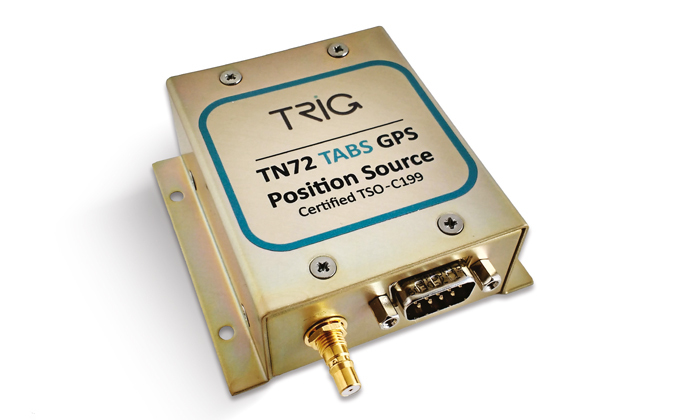 It has been developed to provide trouble free operation with the TN72 GPS Position Source. The TA50 comes complete with a secure and reliable QMA connector – this plugs straight into a TN72 GPS unit. Using a TA50 antenna and a TN72 together is a cost effective way to turn your Trig Mode S transponder into an ADS-B Out device. Use the TA50 as part of your ADS-B solution to get all the benefits of greater visibility and safety. The TA50 is an uncertified product, the TA70 certified GPS is best suited to Part 23 aircraft, where a conventional dorsal antenna is required. The TA50 can be paired with the TN72 GPS receivers. When the antenna is mounted within the cockpit, GPS visibility is required. The TA50 is weatherproof so can be used for external use and internal use. Each antenna comes with a simple installation guide and fixing kit. Trig wiring harnesses ship ready to use. 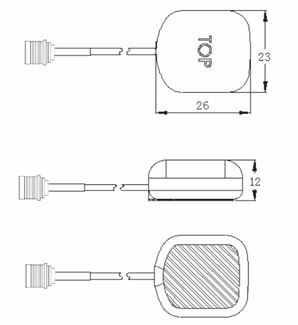 Do the headphone and microphone sockets come with the cable? Yes, they are already attached to the wiring. Do the harnesses use shielded cable? Yes, all audio lines are shielded. Are the Trig Wiring Harnesses certified? No, the Trig wiring harnesses are not EASA or FAA certified. How do you connect Trig wiring harnesses to the aircraft electrical system? The wiring harnesses come with connections for power and ground. A circuit breaker as specified in the installation manual should be used.